Burnley’s Empire Theatre has become one of the five most at risk theatres in the UK, as part of a list that features 36 venues in danger of permanent closure. 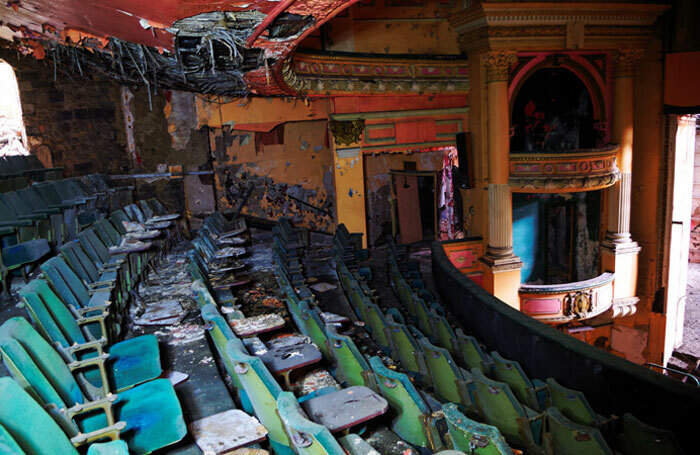 The news comes as the Theatres Trust publishes its 10th annual Theatre Buildings at Risk Register, which reveals Brighton Hippodrome, Plymouth Palace and Victoria Theatre in Salford are – for the third year in a row – considered most at risk of permanent closure. Burnley Empire’s entry into the top five – up 17 places from 22 last year – follows a claim in February by the local council that the theatre was in the “last chance saloon” . There are 36 theatres on the list this year, compared to 31 in 2015. Three are new entries, while there are three venues that have returned to the list having previously been thought to be safe. This includes the two theatres in Sutton recently forced to close when their operator went into administration . The Theatres Trust ranks the risk of each building on a scale from one to nine, with nine being the most severe risk of permanent closure. Three theatres had an increased risk rating this year, including the Burnley Empire, but five had a decreased rating, including Swansea Palace and Blackpool’s North Pier Theatre. Only one theatre, the Muni Arts Centre in Pontypridd, was removed from the list this year, after the building’s future was secured by a local consortium of private, public and charitable organisations. Comedian Dara O Briain, a trustee of the Theatres Trust, said support from the local community was “vital” to breathe new life into disused or at risk theatres. The Trust said while the risk ratings of some buildings had remained high, there had been progress in keeping many of the theatres viable, including Brighton Hippodrome and Burnley Empire. Interim director Rebecca Morland said the work of local community and campaign groups was to thank for much of the progress. She explained: “Each theatre on the register has a rich heritage and an important place in its community. Our experience shows us that where campaign groups are in place, they can make a real difference to the future of these theatres. Last year the Theatres Trust warned that the number of northern venues on the list  – nearly half of those named – betrayed a lack of investment in the region.